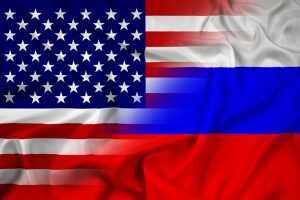 On July 16, 2018, President Trump will meet with Russian leader Vladimir Putin. It’s fitting that the summit will take place in Finland, given the country’s history with the U.S.S.R.
On November 30, 1939, the Soviet Union invaded Finland (shortly after World War II broke out). This conflict, known as the Winter War, ended just three and a half months later on March 13, 1940. The resulting Moscow Treaty ensured peace between the two countries, but not without a cost. Finland accepted a quasi-vassal role in order to avoid any further conflict. It remained a free-market democracy, but it compromised some of its own sovereignty and principles in the process. The Union of Soviet Socialist Republics (U.S.S.R.) was a communist country that was established in 1922. It consisted of Russia and 14 other soviet socialist republics. 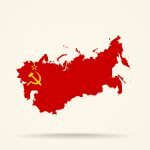 Rampant corruption and decades of poor decisions within the Soviet Union’s government would lead to its eventual fall at the end of the Cold War. The U.S.S.R. dissolved on December 31, 1991, following declaration number 142-H of the Supreme Soviet of the Soviet Union. Countries that were part of the U.S.S.R. when it fell include Armenia, Azerbaijan, Belorussia (now Belarus), Estonia, Georgia, Kazakhstan, Kirgiziya (now Kyrgyzstan), Latvia, Lithuania, Moldavia (now Moldova), Russia, Tajikistan, Termenistan, Ukraine, and Uzbekistan. From this, the term Finlandization was born. It is meant to refer to any country that favors (or refrains from opposing) the interests of a more powerful country even though the two are not political allies. President Trump, for reasons not yet known, appears bent on the Finlandization of Europe and the U.S. It’s strange, because whereas Finland was much weaker than Russia, the U.S. is much stronger. So why would President Trump want to submit to a weaker foreign entity? One possible theory is that the president is in debt to Moscow. Russia helped him win the election, and now he must repay the Kremlin by implementing policies that are in their best interest. This would also explain President Trump’s animosity towards our own allies. By starting trade wars, he appears to be trying to sever ties with our strongest partners. “Sometimes our worst enemies are our so-called friends and allies,” President Trump said at a rally in North Dakota on June 27, 2018. And yet, for anyone who’s studied history, this could easily be seen as a divide and conquer tactic.